Instead of being presented with a list of quantified nutrition facts, a new study out of Texas Christian University says that people tend to make healthier choices if they’re presented with how much exercise it would take to burn off what they’re considering eating. 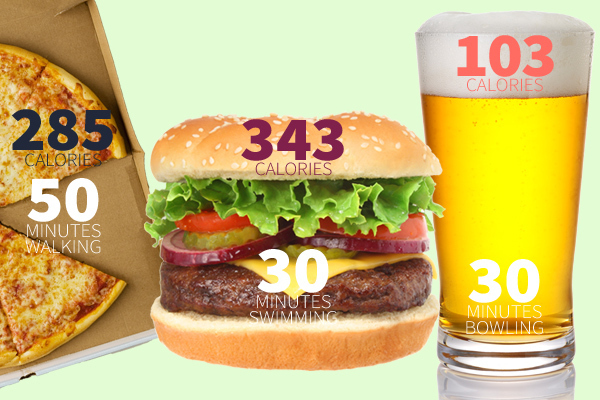 From mozzarella sticks to a cheesy pizza, here are some tempting favorites and the amount of exercise it would take to burn it all off. *Note: Estimates are based on a 140-pound woman. 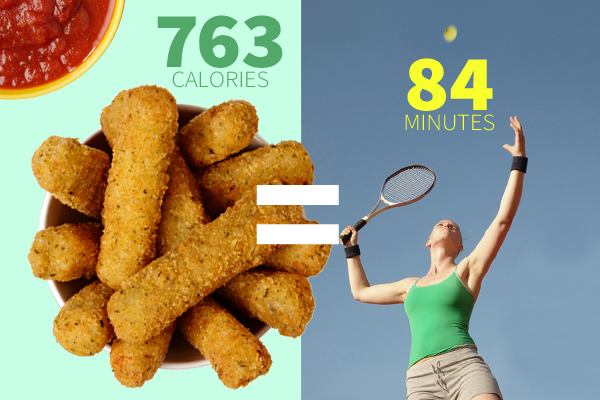 One basket of mozzarella sticks at 763 calories equals 84 minutes of singles tennis (or two hours and 15 minutes of doubles!). 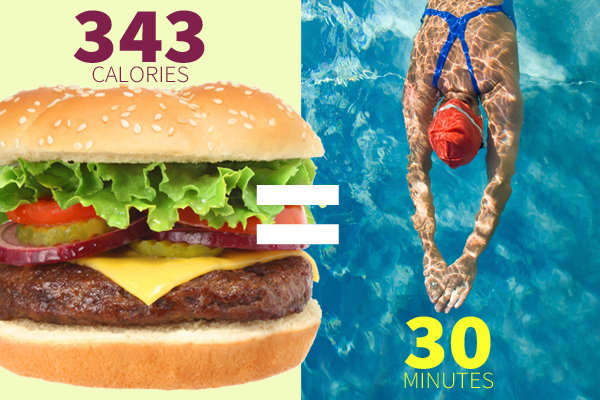 One single cheeseburger at an estimated 343 calories would take you 30 minutes of vigorous freestyle swimming to burn off. 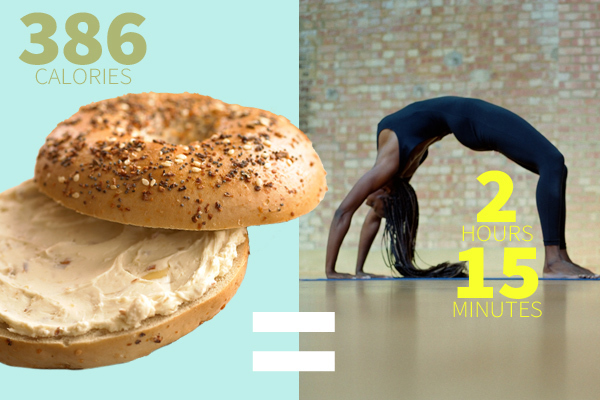 One medium-sized bagel at 289 calories, plus 1 oz of cream cheese at 97 calories will cost you 2 hours and 15 minutes of yoga. 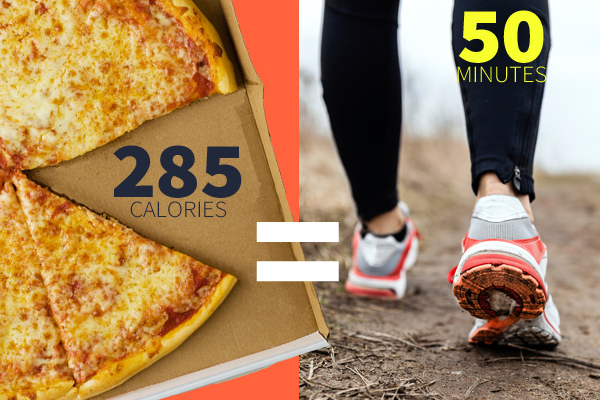 Just one slice of some innocent-looking cheese pizza at 285 calories will bring you 50 minutes of walking at a brisk pace. 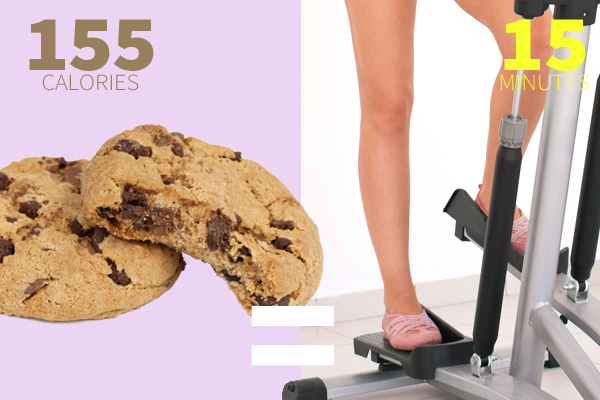 Two chocolate chip cookies at 155 calories each equals about 15 straight minutes on the stair climber. 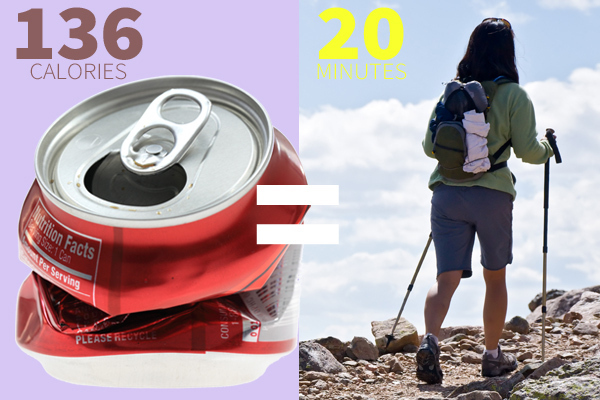 One 12-oz can of regular soda at 136 calories would take about 20 minutes of cross-country hiking. 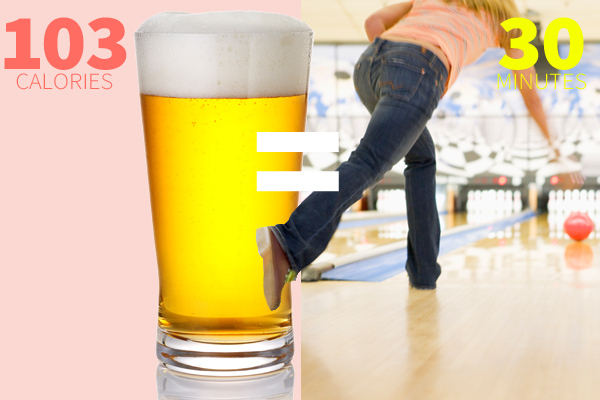 One 12-oz light beer at 103 calories equals 30 minutes of bowling.